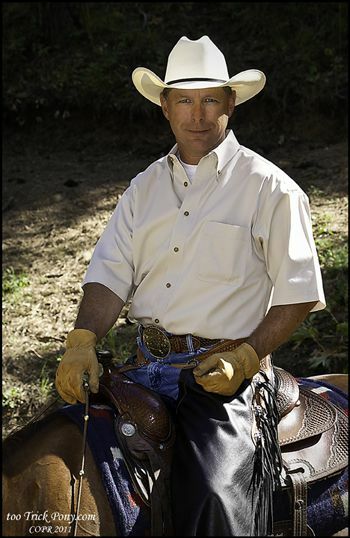 Mark Bolender is the nation’s leading horse expert in Mountain Trail, Extreme Mountain Trail, and Competitive Trail. He is a three-time National Champion and one of the most popular and sought-after trainers in the country. 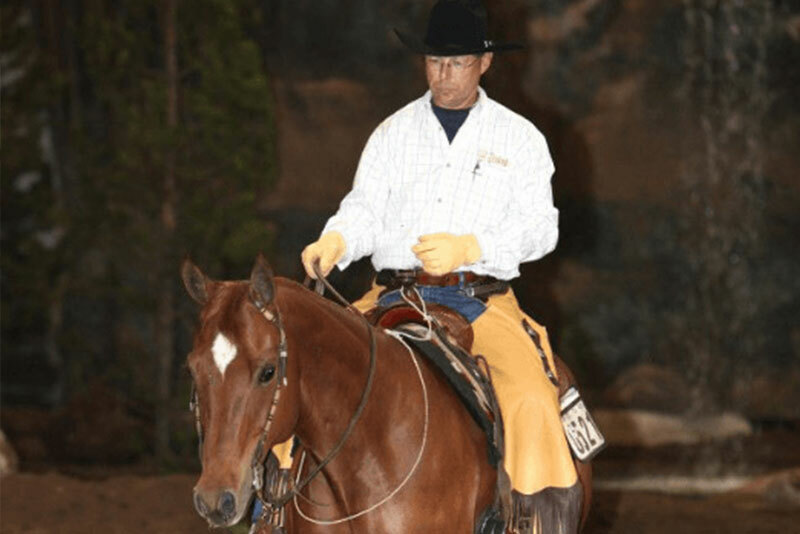 Mark’s unique style and insight into training creates horsemanship results that are nothing short of astonishing. This is why Mark Bolender and the Bolender brand have become synonymous with these new and exciting equine disciplines. 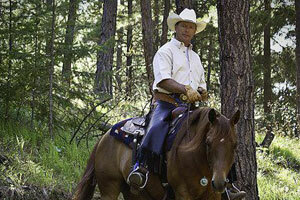 Mark combines his vast experience as a horseman and trainer with a stimulating presentation style. As a former professional speaker, Mark entertains and informs his audience about these growing sports and his new twist on horse training. He has been featured on the Television program, “Best of America by Horseback” and has written for and been featured in many national magazines. Mark is the author of the popular book, “Bolender’s Guide to Mastering Mountain and Extreme Trail Riding” (which is the first-ever book written about the subject). His articles about these disciplines, new trends, and training methods are quite popular. Mark administers a judging school which certifies judges in the USA, Canada and Europe for Mountain Trail and Trail Challenge. He and Lee Bolender are the founders of the “International Mountain Trail Challenge Association” (IMTCA) which was formed to promote the sport of Mountain Trail. Today, the IMTCA coordinates activities, develops training protocols, and maintains regulations and certifications for Mountain Trail competition. 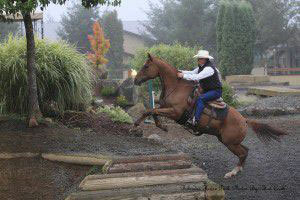 Mark owns and operates Bolender Horse Park in WA State, which houses the finest Mountain Trail course in the world. Using Bolender Horse Park as the model, Mark has designed and built Mountain Trail courses throughout North America and abroad – with many more in development. 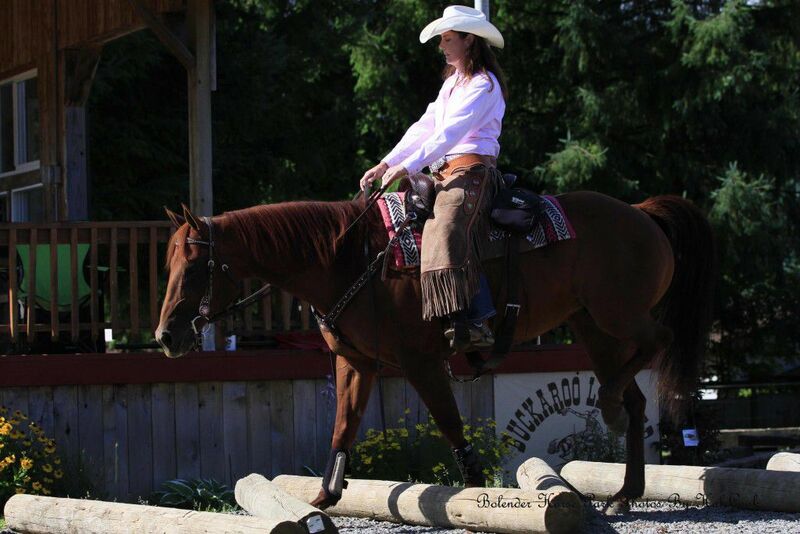 These courses are premier sites and used by beginners and highly advanced riders alike, and are designed for clinics, shows, and training. In the last year alone, Mark has built courses in Pineville (Missouri), Hope (British Columbia), Hebstein (Germany), and Alcalde (New Mexico). The expansion of courses is a testament to the rising popularity of Mountain Trail, Extreme Mountain Trail, and Competitive Trail as well as Mark’s leadership in these disciplines. Mark actively promotes his training philosophy centered on using the natural instincts of the horse during the training process. Mark says that activating key instincts in the horse combined with good horsemanship results in real equine magic. 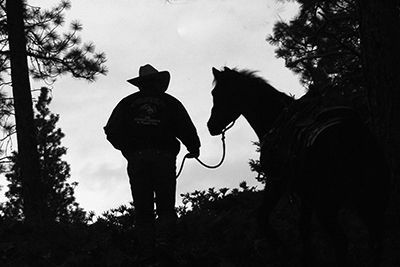 To see Mark with a Mountain Trail horse truly is a magical experience. My training goal is to create a partnership with the horse where mutual trust and respect is established and the horse volunteers to learn and perform in a safe manner. We accomplish this goal by understanding the horse’s world and the four Principles they operate under. Those principles form the core of my training philosophy. But before I describe them, allow me to list three extremely important points to remember – because they drive the four Principles. I train horses using their own language, which is based on a fundamental understanding of their world. Their world is based on four simple Principles around which everything revolves. It’s an orderly world that makes sense to the horse, and these four Principles are deeply ingrained and unchangeable. They have served to guide a horse’s behavior in a herd and they have allowed them to survive as a species for eons. Thes four Principles are described below. Principle 1: In A Horse’s World There Is A Definite Pecking Order; No Two Animals Are On Equal Footing. Principle 2: The Horse Is A Natural Born Follower But Only To A Clear And Consistent Leader. The herd relies on the strongest, most focused, horse with the highest intelligence and the one most able to lead the rest. The horse goes through a mental checklist that defines whether the leader is up to the task of leading. They check this list as the leader gives them clear signs. The leader doesn’t move out of another horse’s way. The leader makes the first gestures toward something or someone. The leader is clear and consistent in what it does. If the horse mentally (and instinctively) checks off these criteria, it will perceive that horse (or person) under inspection as a leader, and it will show acceptance by following that leader. But if the horse’s checklist is not fulfilled, it will not regard the other animal or person as a leader and the horse will simply ignore it. Obviously, if a person recognizes and fulfills this checklist, then that person will be perceived by the horse as a leader. And that’s the most crucial element in training. Principle 3: The Horse Tries To Please Those Horses They Deem Superior To Them. In contrast, they have little regard for those they deem inferior to them. In fact, they will do almost anything to please the leader, and the leader can just as easily be a person. This is why they can attempt scary obstacles and perform incredible tasks – but only if the leader asks. Principle 4: Instinct Drives Principles 1-3. Horse instinct represents a different kind of intelligence that is difficult – if not impossible – for humans to comprehend. Their instincts, which may seem illogical or inappropriate, can frustrate and intimidate us. And often, their instincts even beat us when it comes to training them. That usually causes us to do even more to get the horse to perform a task while getting even less in return. When both horse and trainer are not mutual listeners then instinct will win out every time and you’ll achieve nothing.Later we will talk about how instinct and trust are woven together with a tight yet fragile thread. Just because a horse doesn’t understand our spoken language doesn’t for a moment mean it is incapable of communicating. Actually, nothing can be further from the truth. I’ve learned certain key “phrases” in their language and fully appreciate that it’s only the tip of the iceberg in a much grander form of communication. As when humans visit a foreign land, a few choice foreign words, phrases or even a pocket translation book can go far. That will allow you to communicate basic information with relative ease. Likewise, knowing some choice “horse phrases” also goes far. Most people don’t realize that a horse is superbly sensitive to sound, movement, vibration and tiny changes in its visual field. These are all survival adaptations. And their sensitivity to these physical phenomena is astounding. 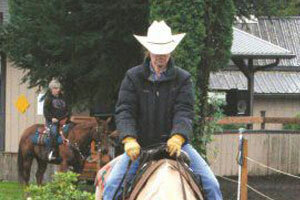 For example, while being ridden, the horse can feel the rider’s heartbeat. It knows when the rider is calm or stressed simply by changes in heart rhythm. They can see and follow your slightest facial expression or body movements. If you watch them interact with each other in a herd it’s remarkable how effectively they can communicate while doing so little with their bodies. For example, an ear twitch can cause other horses to move aside. Just watch an alpha mare; she doesn’t move aside for any other horse. If she’s forced to move then something major is upsetting the herd and you can expect her to kick or bite. Thus, they can process volumes of information just by glancing at the body language of another horse or person. When training, we must be consistent with our cues. And remember that the less we do (like minimizing our movements) to ask the horse to perform a task, then the more authority we have in the horse’s mind. There is a palpable field of energy that surrounds every living being. We’ve all felt its effects when we hear the phrase, “I just want you out of my space”. That space is like a sphere or bubble around a person – or animal. When it comes to horses, I call this sphere the Bolender Bubble. Horses are incredibly sensitive at reading and feeling this energy from others. They are keenly aware of the bubble’s boundaries for every individual. If you watch a strong alpha mare in the herd, her bubble – her space – is very clearly defined. Yet it changes constantly. At times other horses are invited into the bubble of another. Also, the size of this bubble depends on each horse’s comfort level. I’ve seen bubbles extend sixty feet or more in diameter. The bubble’s size depends on the horse and the current physical situation in which the horse finds itself. The dynamics of the Bolender Bubble are pretty much the same for people. I love my horse and I enjoy when he’s near. But I keep him outside of a safe boundary. Any horse I handle will quickly learn what my expectations are on the ground. It’s not a matter of love, respect or authority but personal safety. If a horse is completely at ease with your leadership then creating a Bolender Bubble for safety is easy to do. You can learn by watching how the alpha mare establishes its own Bolender Bubble. She will first ask, then suggest, and then demand (with a kick or bite) that the other horse listens. You will need to do the same, but don’t kick or bite. Instead, sharp and clear signals like a hand flinch or line flick, will do just fine to send the message. Remember, the less you do the more it means to the horse. It’s the equivalent of putting your ears back or a sharp snort. Soon you’ll only need to ask the horse with dignity and respect in your voice and (slight) actions. The horse will then honor your request in a willing manner, no matter what situation you find yourself in. If a horse refuses to attempt an obstacle then it’s evident that it doesn’t see you as being superior to it. The horse’s instinct tells it that the obstacle is too dangerous because there is no leader to encourage it further. If there is no leader to communicate to the horse, “I can do this, therefore you can,” then there is no reason for the horse to attempt to navigate the obstacle. In short, if you’re attempting to train the horse without being its leader, the horse will never do what you ask it to do. This is a crucial problem but one that’s easily managed. So, first and foremost, you must establish yourself as your horse’s leader – superior to it in the pecking order – even if it’s just you and your horse in the “herd”. 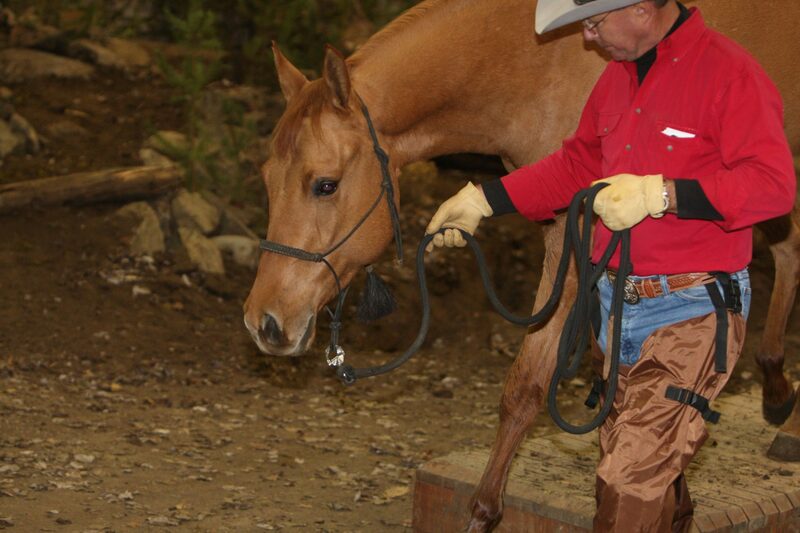 To establish yourself as the leader, you will be asking your horse to perform tasks, such as navigating obstacles. You will be communicating with signals that are clear to the horse. Your leadership will be affirmed in the horse’s mind because you will be using slight movements and consistent signals when asking it to perform a task. Begin by creating a Bolender Bubble for your horse. Remember that establishing a Bolender Bubble requires you to appreciate that tiny movements speak volumes to a horse. 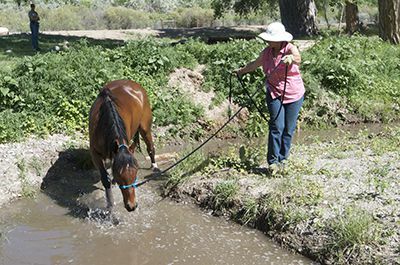 A good first step in establishing the Bolender Bubble– and clear communication with the horse – is to ask your horse to complete a task without moving your feet. Remember, slight movements are crucial, and whether or not you see it, your horse is carefully watching your feet for any movement. A superior horse – a leader – will not move or step aside to allow an inferior horse some space. Thus, your horse will see your non-movement as an enormous declaration of your superiority. Consistency is also crucial. 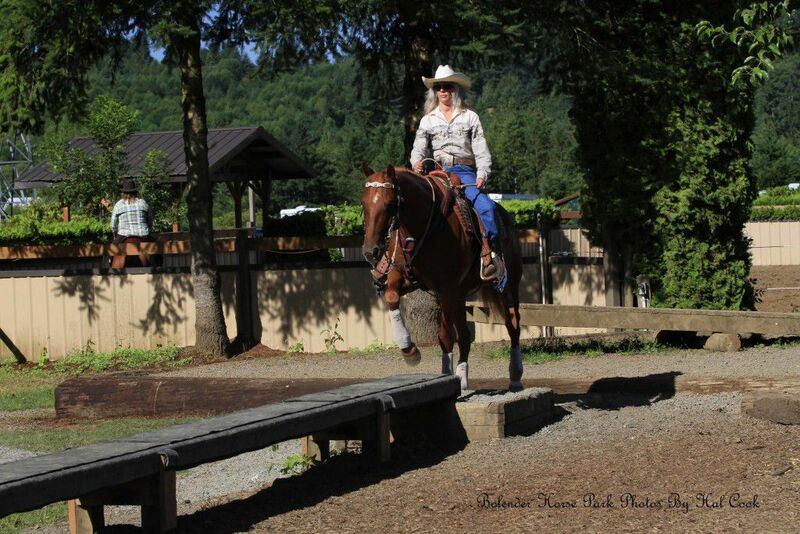 Whether you’re asking your horse to step over a log, onto a suspension bridge, into water or over a balance beam, your cues should be the same for each task. For instance, ask for a forward response with just a hand flinch, while moving your feet as little as possible. When your horse makes the slightest effort to do what you are asking it to do, quit asking immediately. Reward the animal for listening by releasing the pressure and allowing it time to process what it has done. A soft pat and soothing words, combined with treating it with dignity and respect are also good rewards for listening. Once your leadership is established, ask your horse to try again. But respect it by watching and listening when it needs more time to think. Timing, along with the ability to read your horse, is critical when either asking for more effort or allowing it time to process your requests. Some clues that the horse is processing your request is nosing the obstacle, ears pointing forward, snorting, pawing and shaking. Give it the time it needs to work things out in its mind. You can see determination in its own slight movements as it considers what it needs to do next. 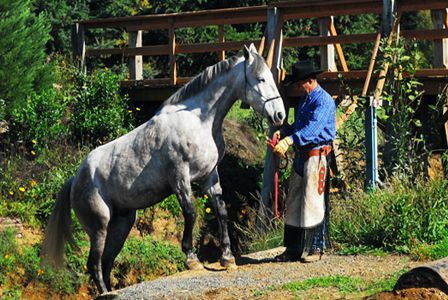 A good listener will respect the horse’s need for time while it processes the scenario. If you, the leader, are clear and consistent in your request, the horse will work to please you. From this leadership, trust begins to evolve because the horse’s instinct says that leaders are to be trusted. However, know that this hierarchy is not permanent. It’s a horse’s nature to constantly test whether you’re worthy of trust and leadership. Your horse may try to make you flinch or move your feet to see if you’re still worthy of such trust and leadership. So don’t ever let your guard down. Always keep in mind that less is more when asking your horse to complete tasks. Slight movements or “requests” are perceived by the horse as deliberate commands by the leader. Once leadership and trust are established, it’s amazing how just tiny amounts of physical effort on your part are required for the horse to accomplish the most challenging task you request. Small flicks of your hand, an audible click or even a slight shift in your body will speak volumes to it. When you listen to what the horse is asking, you can answer clearly, and at the same time acknowledge your superiority to the horse. It will return the favor by giving you every ounce of its effort. People often ask, “What’s the difference between Mountain Trail and Extreme Mountain Trail?” In a word, Extreme Mountain Trail is just like Mountain Trail – except on steroids. 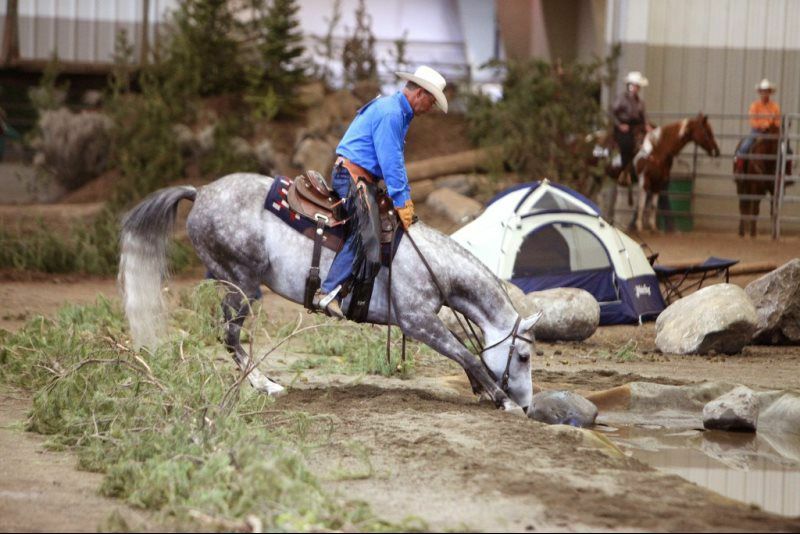 The sport of Mountain Trail requires the horse and rider to navigate trail obstacles with confidence and skill. 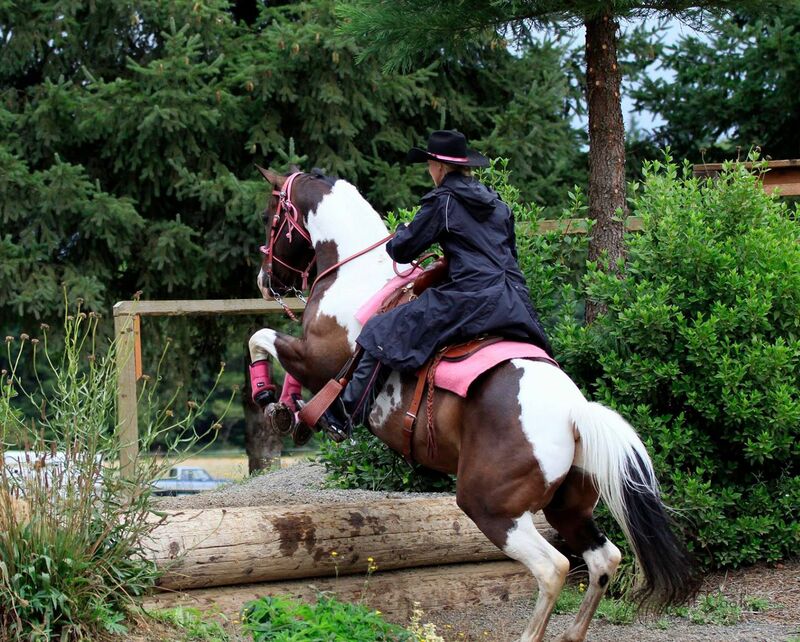 This is in contrast to other equestrian sports like the Extreme Cowboy Race, which is essentially a speed trial where horse and rider must move from obstacle to obstacle as fast as possible. Finesse and precision are not important because scoring depends on swiftness alone. The sport of Mountain Trail is especially exhilarating because it challenges horse and rider to navigate trail obstacles with technical accuracy, subtlety, and speed. 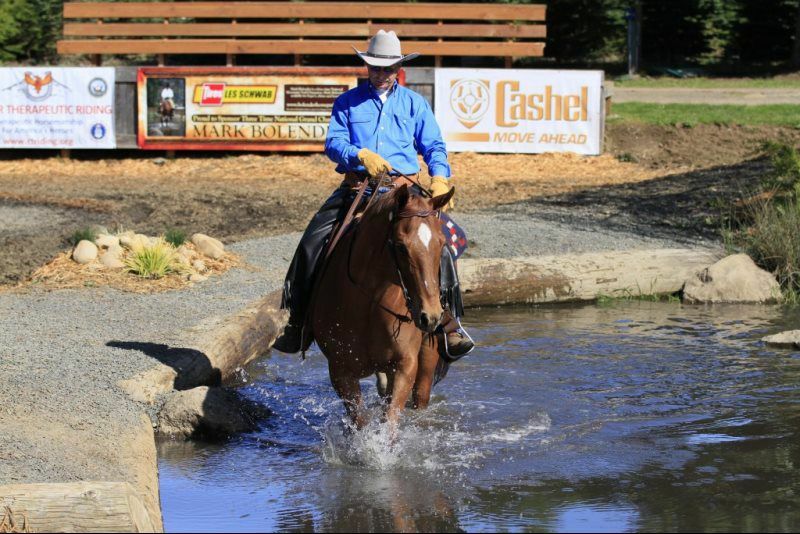 There are graded levels of difficulty, where the most challenging are designed for the most experienced horse and rider. Extreme Mountain Trail is similar to Mountain Trail but with far more difficult challenges in terms of the obstacles. It also requires a high level of finesse and boldness – and there also is the element of doing it all as quickly as possible. And the obstacles are usually much more challenging than you would experience on an actual trail ride or other horse show. They come at you one after another – and often together! When various Mountain Trail obstacles are combined during competition, and you’re required to negotiate them quickly, the challenges are elevated to a whole different level. For example, negotiating either a gate, cowboy curtain or pond each is a common (and tough) Mountain Trail obstacle on its own. But when ALL of these are united into a single obstacle that must be navigated quickly, it constitutes one Extreme Mountain Trail obstacle that tasks even the best horse and rider. A primary focus of both Mountain Trail and Extreme Mountain Trail is not only to properly negotiate the obstacles in a timely manner, but to execute them with finesse; something that only a true partnership between horse and rider can accomplish. Lack of subtlety is obvious to anybody watching. When horse and rider disconnect it seems like the rider is forcing the horse to perform the task of negotiating obstacles. Finesse is gained by a partnership where mutual trust has developed. When this occurs, horse and rider appear as one single living being, an image few feats of man and beast can rival. It’s like a virtuoso violin performance, where the boundary between the human and the instrument becomes blurred and beautiful music results. So are the horse and rider who mutually trust their instincts, and together, negotiate seemingly impossible obstacles with the unmistakable beauty and delicacy of a trusted partnership.